When Norse legends include mentions of Vinland, the magical land where Leif Eiriksson found grapes and berries growing freely across the land and iron bubbled up from the bogs, it’s likely that they’re talking about the 11th-century Viking Settlement, L’anse Aux Meadows in Newfoundland. 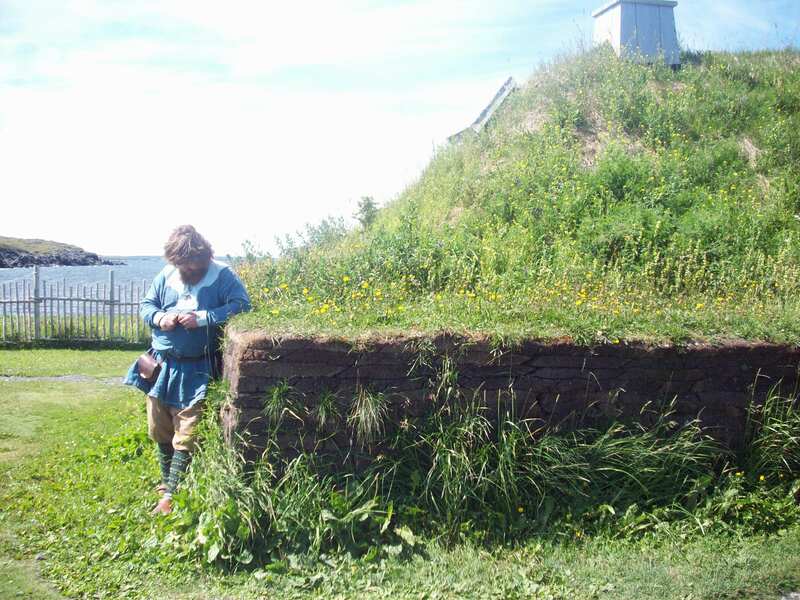 Lots of Northern Atlantic islands claim to be Vinland, but the northern tip of Newfoundland is the only place archaeologists have found the remains of Northern European style buildings and artifacts. If you take a trip to Newfoundland, this is a must see. 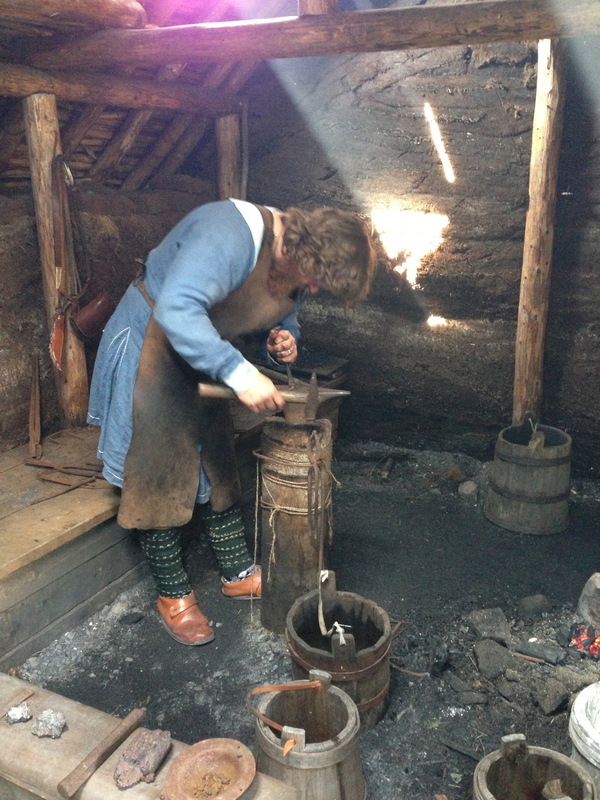 This is Ragnar Redbeard, one of the friendly Viking reenactors on site, and the settlement’s blacksmith. He performs demonstrations of his work and makes replicas of the iron artifacts that visitors can pick up and experience. He also chooses a child from the audience to act as his apprentice, running the bellows while he works.